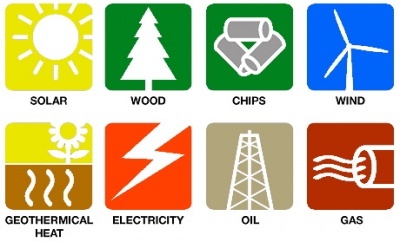 The Akvaterm NERO range is developed to comply with the increasingly strict environmental energy efficiency standards. 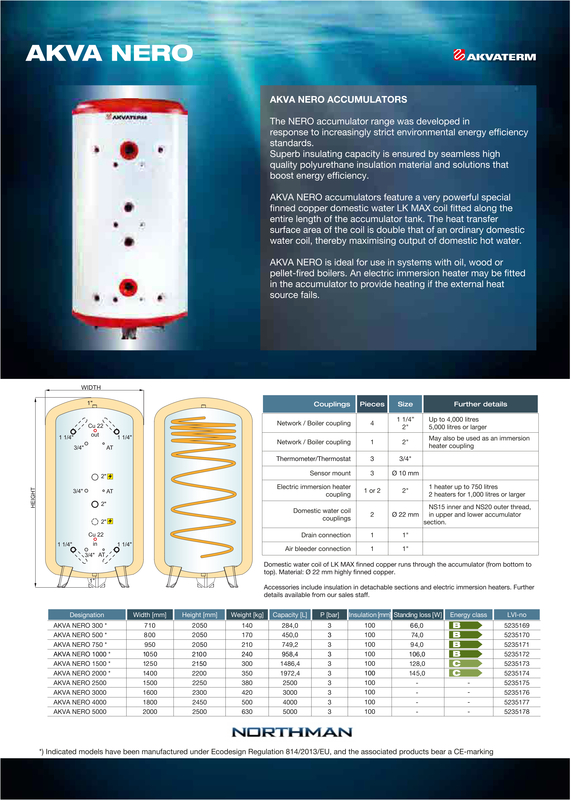 Suberb insulating quality is a result of a high quality Polyurethane which is applied seamlessly around the cylinder leaving no gaps between the tank surface and the insulation. 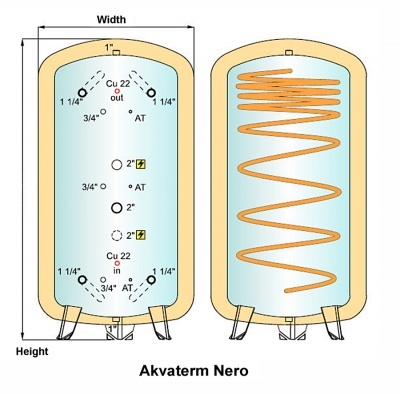 The metal outer layer and precision couplings will further enhance Akva Nero's energy saving quality. With 100-150mm insulation and a brand new LK Max DHW coil, the Akva Nero is suitable for a large variety of heat inputs and properties. 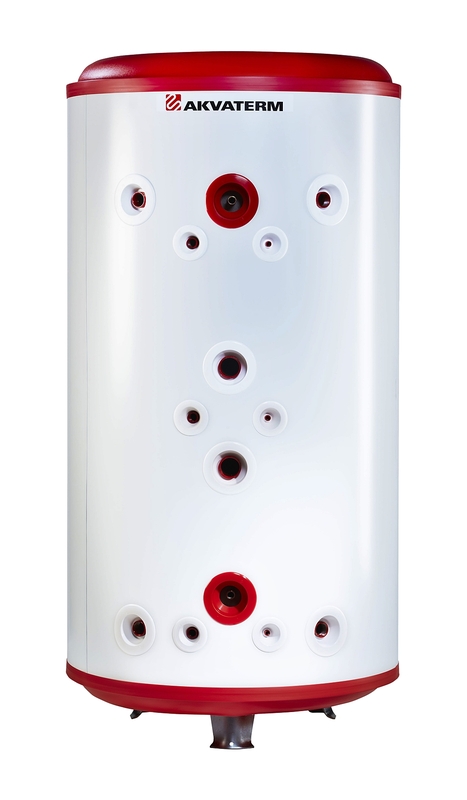 The LK Max coil spans the entire height of the accumulator tank, allowing you to utilise the maximum amount of stored heat for the domestic hot water. This coil has approximately double the surface area compared to standard DHW coils. Heating flow and return connections have inbuilt guide pipes to ensure the most effective thermal layering inside the tank. 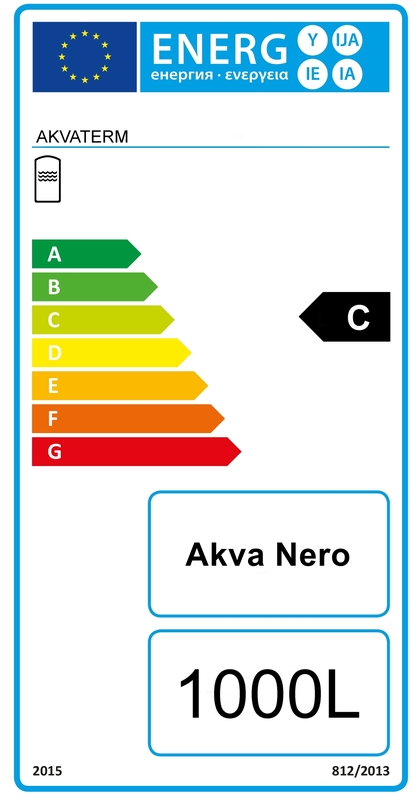 Akva Nero is a perfect choice for oil, wood or pellet heating systems. In addition, it can be fitted with up to two (2" connection) electric immersion heaters for solar PV or mains power back-up.